The year 1925 gave the brothers a big reward when they won the silver medal for table red wines given by the Ministry of National Economy. Sadly, in 1943, the youngest, Alberto, died while the two other brothers were getting old. In 1949, their sons decided to close the winery and establish a new business, the weaving mill Tessitura Pardi which became a big success, even internationally, until the present times. 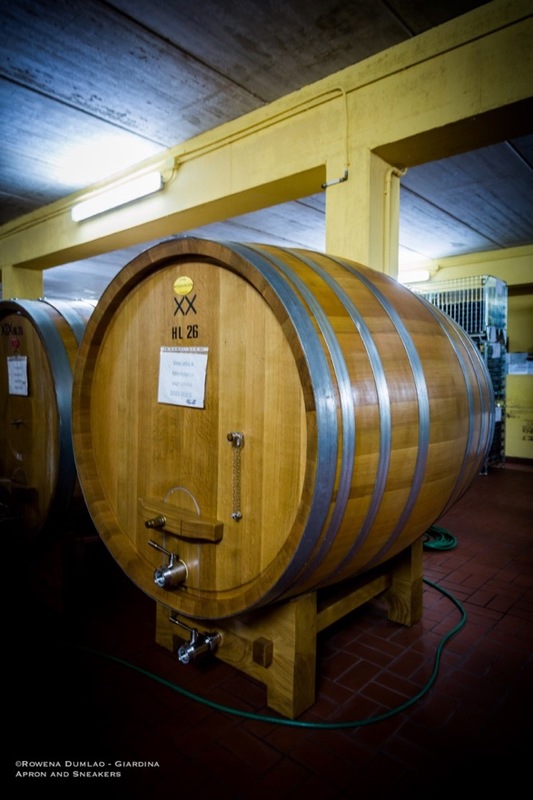 In 2002, the great-grandchildren of the founding brothers, Francesco, Gianluca Rio, and Alberto Mario decided to restore the old winery. Driven by the will of the Pardi family to revive what has been in their family tradition for almost a century, the winery continues to make excellent wines with the enthusiasm of the men of the family's fourth generation. 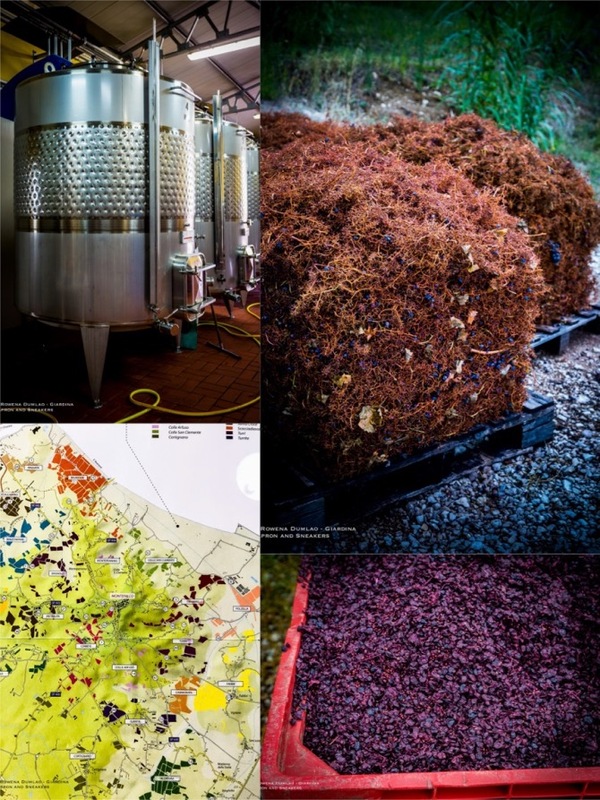 At present, Cantina Fratelli Pardi produces red and white wines and extra virgin olive oil in their 11-hectare land where 1.2 hectares are cru in the hills of Pietrauta, Casale, Campolungo, and Lasignano, all in the heart of Montefalco. 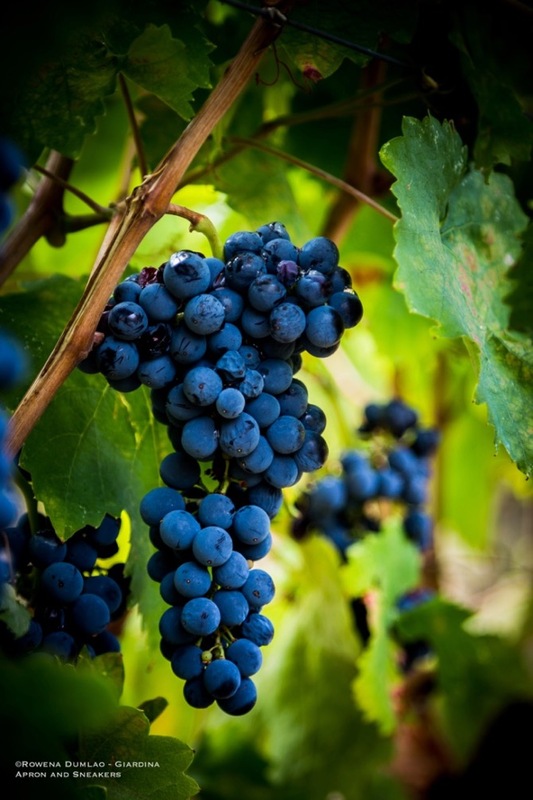 In their vineyards, they cultivate Sagrantino, the red autochthonous grape Montefalco, as well as Sangiovese, Cabernet Sauvignon and Merlot for the red varieties. 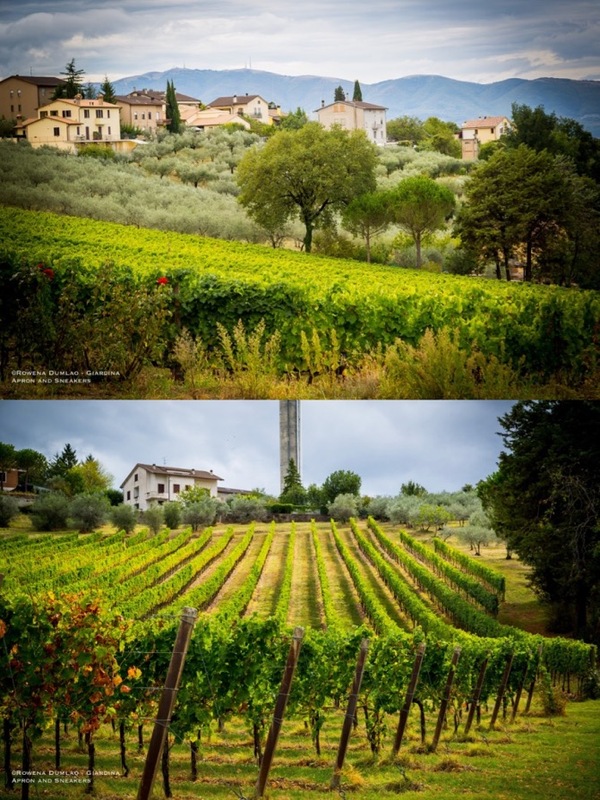 For the white varieties, they have Grechetto, Chardonnay, and Trebbiano Spoletino. 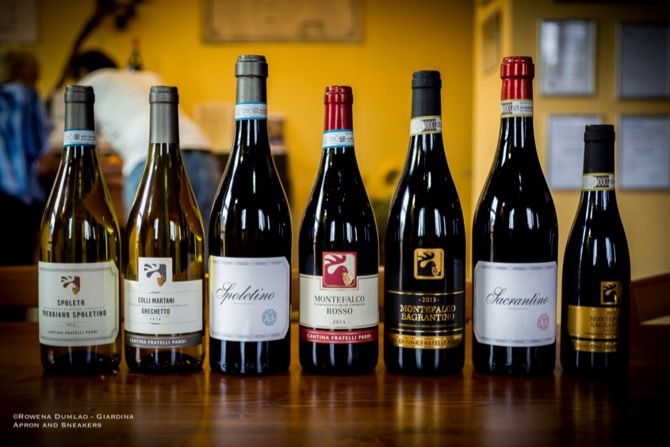 Their wines are mainly distributed in Umbria while some are sent to different regions of Italy. 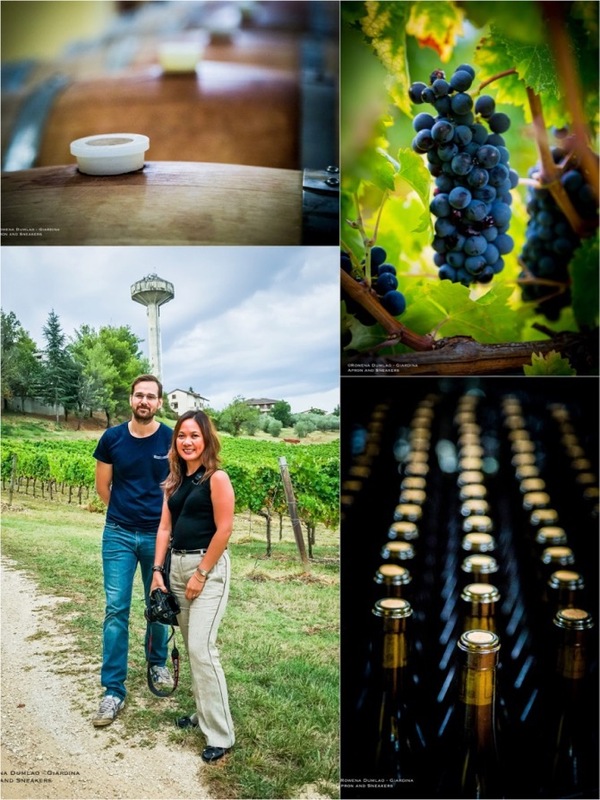 During my visit to the winery, that was conducted by Alberto Pardi, I tried seven of their wines along with a full lunch prepared by his wife who is also a chef. 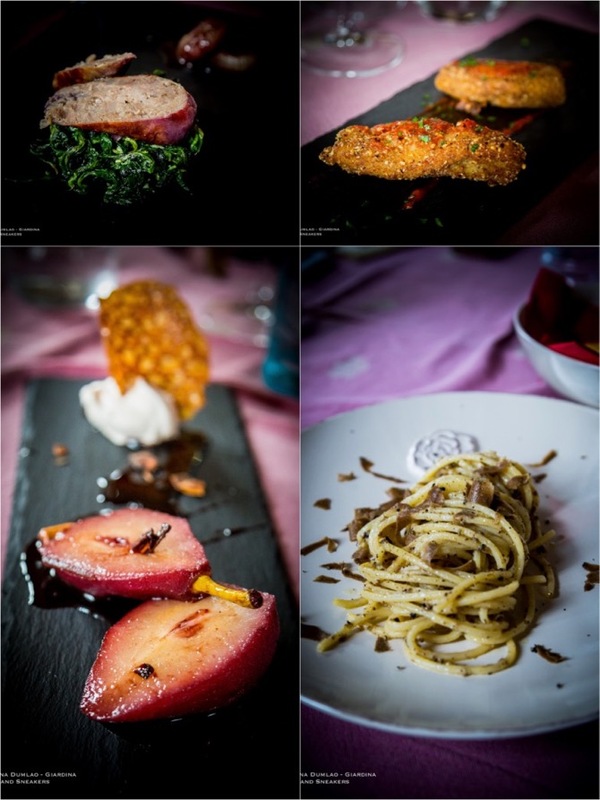 The dishes during lunch permitted the wines to open up in harmony with the food which is the best way to understand the wines. I have a weakness for good Sagrantino and I appreciated Pardi's Sacrantino, aged between 4 - 5 years, with its nice smoothness, soft medium tannins and complexities to the nose and palate. Colli Martani Grechetto 2016: fermented for 20 days in stainless steel tanks then aged in the bottle for 3 months. Rich straw yellow with golden highlights, and important floral and fruit notes. Spoleto Trebbiano Spoletino 2016: fermented for 20 days in stainless steel tanks then aged in the bottle for 3 months. Straw yellow with greenish highlights, sapid, crispy and fresh which indicates white flowers and fruits to the nose and palate, a pleasant and easy white wine to drink. 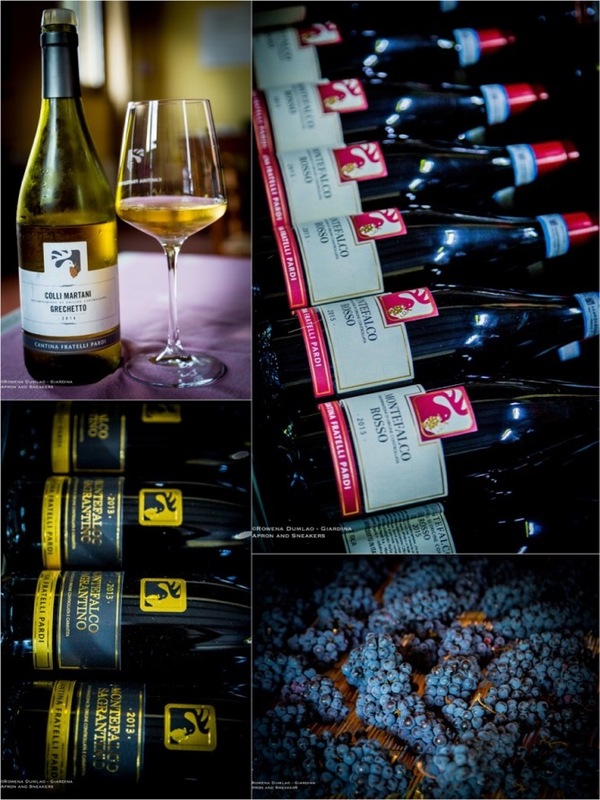 Spoletino Trebbiano Spoletino 2015: aged for two years then a few more months in the bottle. Rich straw yellow in color, sapid and fresh, rounder in the mouth, than the previous Trebbiano Spoletino giving a sensation of creaminess. Montefalco Rosso DOC 2015 (Sangiovese 70%, Sagrantino 15%, Merlot e Cabernet 15%): fermented with the skin for 10 days, aged in large oak barrels for 12 months, stainless steel for 6 months, and 4 months in bottle. Transparent ruby red in color with medium structure, tannic with nuances of amarena cherries and dark fruits. 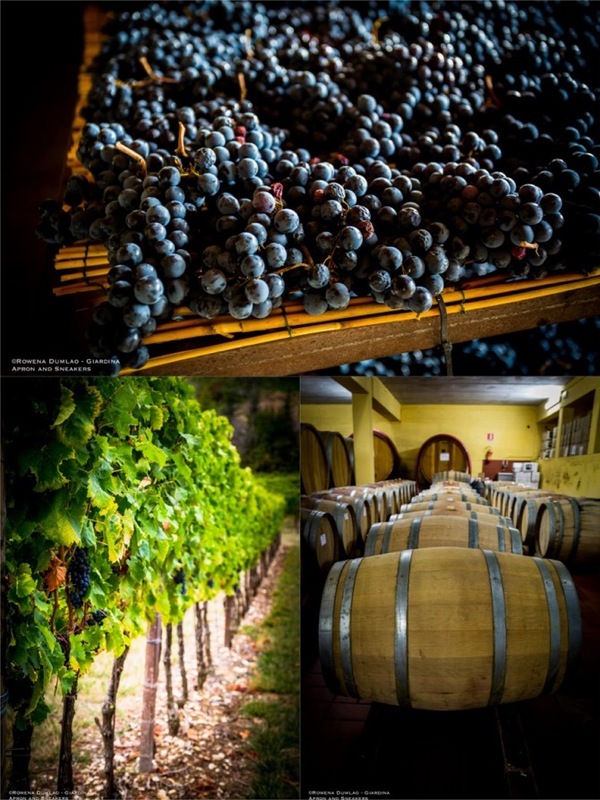 Montefalco Sagrantino DOCG 2013: fermented with the skin for 8 days, aged in large oak barrels for 18 months, stainless steel for 9 - 12 months, and 6 - 8 months in bottle. Intense ruby red in color, consistent, tannic, complexities in the nose and the palate with pronounced smokiness and tabacco. 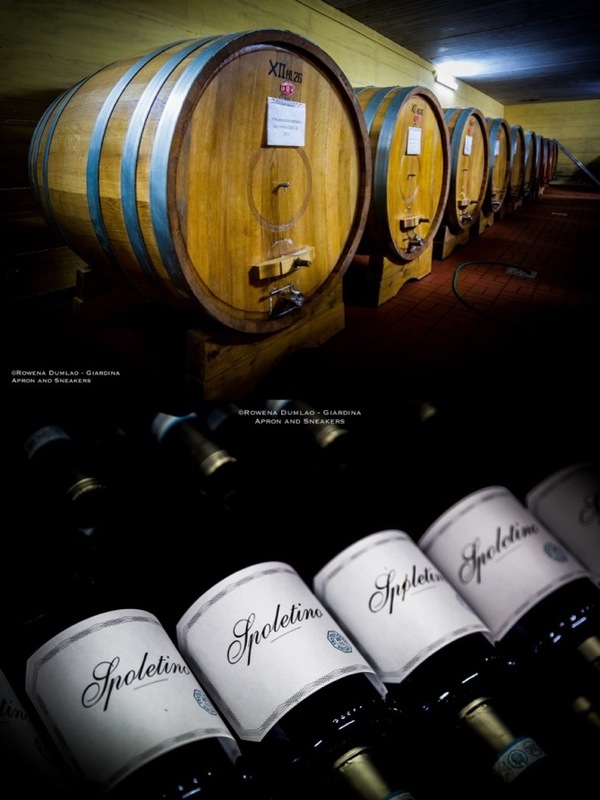 Sacrantino Montefalco Sagrantino DOCG 2012: fermented with the skin for 8 - 9 days, aged in large oak barrels for 18 months, stainless steel for 9 - 12 months, and 18 months in bottle. Garnet red in color, consistent, smooth tannins with complex to the nose and palate with nuances of mature dark fruits and confiture, spices, and herbs. 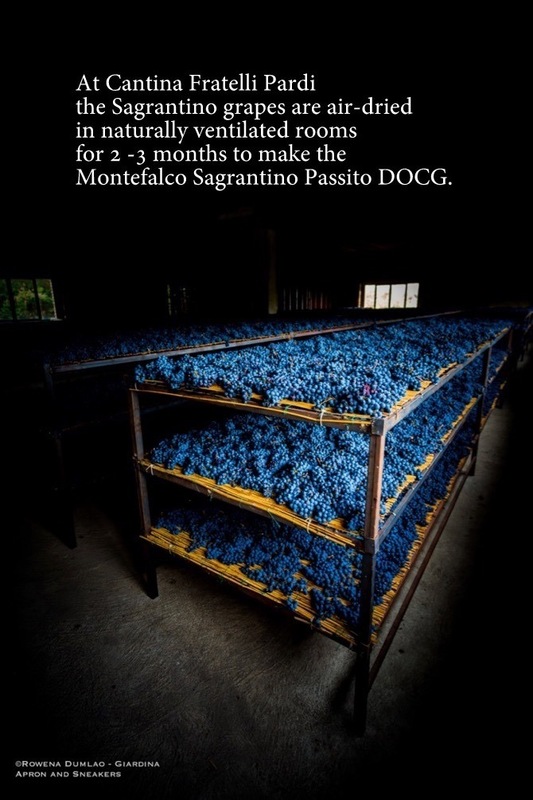 Montefalco Sagrantino Passito DOCG 2011: air-dried naturally for 2 months, fermented with the skin for 10 - 16 days, aged in barrique for 18 months, stainless steel for 12 months, and 6 months in bottle. Brilliant granite in color, lightly dense in consistency with just the right sweetness. Our wines are endowed with their own features. Every vintage is different from the others and we are deeply interested in respecting what nature offers, without forcing or adulterating our produce. We believe in our territory, in its wine culture and tradition and we want to communicate this to the world through a bottle of wine that, by itself, is able to convey our values.